Salary Basis Essentials: The Things You Might Be Doing Wrong! The Fair Labor Standards Act was enacted 80 years ago, but to this day still poses compliance challenges for employers. For salaried exempt employees, the challenges include compliance with the intricacies of the “salary basis” test. How is an exempt employee paid a “salary?” It’s not as obvious as it may seem. This presentation will address the intricacies. Mr. Roby graduated with highest honors from the South Dakota School of Mines & Technology and received his law degree from William Mitchell College of Law. 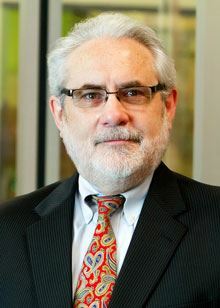 He is certified by the Minnesota State Bar Association as a labor and employment law specialist. He has been named a Super Lawyer every year of the program’s existence. He practices with the Duluth firm of Johnson, Killen & Seiler. Questions? Want to learn more? Get in touch!